Have you seen those little houses on posts/walls with clear doors and FREE BOOKS for the taking inside? These Little Free Libraries are made possible by volunteers who have taken the time to build, install and through stewardship, maintain them. The Friends of Richards Memorial Library is looking to sponsor this program and are looking for volunteers to build some boxes, hopefully using recycled/stashed/donated materials. Plans and pictures of various types are available on the website: www.littlefreelibrary.org but these are basically small weatherproof cupboards with a roof and placed on a post or wall. Check out the different types that have been built! 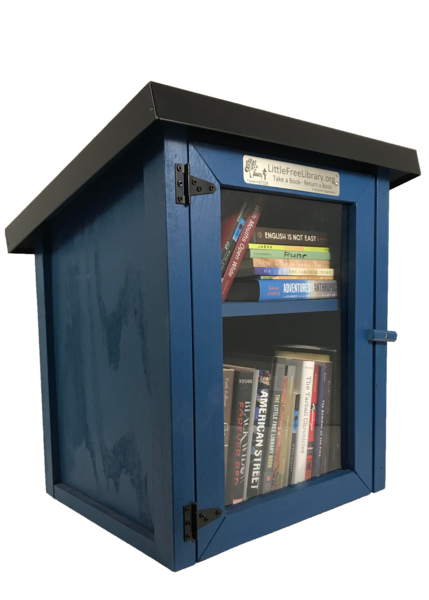 The locations for these need to be somewhere that is easily accessible and for someone(s) to become a steward for each and help maintain the Little Free Libraries. Locations need to be approved before placement. These could be by schools, on main neighborhood corners, near senior housing and so forth. Books for these LLF’s would be provided from what is left after the Annual Book Sale in September. Collections can also be helped by TOLO (take one, leave one). Some supporters carry books they’ve finished in their cars and when they stop by an LLF, TOLO! Friends of RML will sponsor each box by paying the $40.00 registration fee which places the location on a world map, easily searchable. See the website above and find some nearby! If you are interested in being a builder, have a location to suggest or would like to be a steward, please contact the Richards Memorial Library at 508-699-0122 and leave a message. The coordinator of the project will get back to you ASAP. Next ›Which Children’s Books Stand the Test of Time?